A data logger is similar to an oscilloscope, but is used to register data over relatively long periods of time, typically a minimum of of many hours or days, instead of a few microseconds. Data loggers can be standalone devices, with their own built-in devices (keypads, displays, etc. ), or like the Analog Discovery 2, which connects to your computer to record the data via the WaveForms software. Either way, they can be powerful data collection tools. If you need help getting your Analog Discovery 2 set up and calibrated, or installing WaveForms, check out the links to get started. Once you have your Analog Discovery 2 and WaveForms all set up, open the Data Logger by clicking on the “Logger” button. This will open the Data Logger window. Along the top you'll see the “File”, “Control”, and “Window” options. 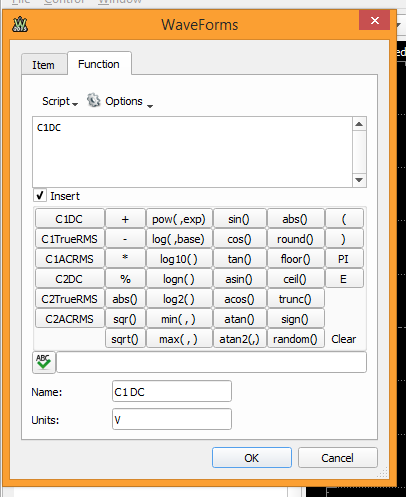 You can “Save” the current data logger settings, or “Open” a previously saved project. “Export” lets you save the current data logger preview plot data, either as an image of the window in most common formats, e.g. *.bmp, *.jpg, *.tif, etc., or as a data file with the plot information in either *.csv, *.txt, or *.tdms formats. “Close Logger” will close the data logger window. This will not clear the current settings as long as you don't close WaveForms completely. Just click on the “Logger” button again and the window will pop back open with all of the same settings. Under “Control”, you have access to the tool's “Run” and “Stop” commands. Below that you'll find the data logger controls, both for the channel grid as well as for the plot. All of the channels are loaded into the grid by default, but you can add more instances of the same channels by clicking green plus button on the top left. Click the red minus button to either delete a single highlighted channel or clear the entire grid. With a channel highlighted, click on the button displayed below to edit the channel, which gives you two option tabs. You can change the channel to observe a different data parameter by clicking the “Item” tab. Clicking on the “Function” tab allows you to set your own math channel using some basic math functions and one of the six predefined channels as a starting point. Show lets you add minimum and maximum parameters to the grid. These reflect the min/max values currently observable in the data window. Click on “Run” to run the data logger. Once the tool is running, this button becomes “stop”, which will stop the data logger. History and Update determine the sample rate, and by extension, how much data/time the plot window will display. By adjusting the two parameters, you can vary the data sample rate from 1 sample every 100 ms for a total of 1 s, all the way up to 1 sample every 1 min for a total of 86,400 mins, which comes out to 60 days. An alternate way to adjust the time/sample rate is provided by clicking the settings button. You can adjust the total number of samples, which will use the value in the “Update” box to auto-adjust the time value in the “History” box to fit that many samples at the determined rate. You can also adjust the offset, range, and attenuation for C1 and C2. The export page icon, displayed in Fig. 18 below, provides another way to export the plot window data as mentioned before. Click on the broom icon, displayed in Fig. 19 below, to clear all plot data from the window. Unless you save the data first, it will be unrecoverable. 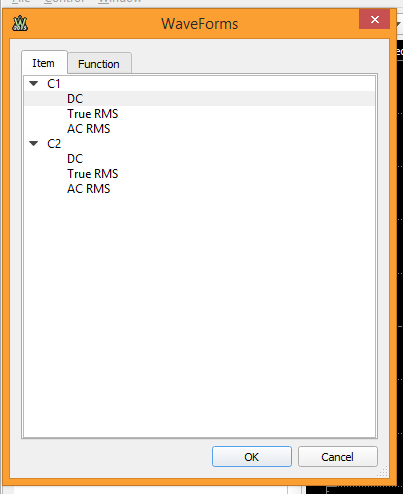 The RMS section displays the RMS frequency and auto-adjusts according to the value set in the “Update” box. The Data logger tool makes use of the same input channels as the Oscilloscope tool. These are labeled “1 +/-” for C1 and “2 +/-” for C2 on the Analog Discovery 2 30-pin header. Use of the Data Logger will lock out the Oscilloscope tool. As you can see, the Data Logger on the Analog Discovery 2 is a simple-to-use tool that can collect a significant amount of data, and is also widely adjustable to meet the time requirements of many different systems.